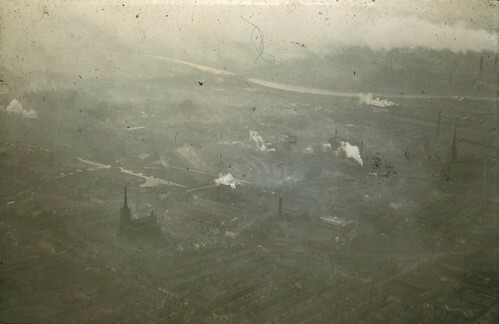 Manchester and Salford’s contentious relationship across the River Irwell has always assured a clear, if far from beautiful, distinction between the two cities. The long awaited attempt to blur the differences, however, in the form of the Greengate public spaces suggests a decline in ambition (not to mention the graphic techniques) – perhaps in both cases as a result of the economic crisis. In contrast to the substantial, if problematically detailed, landscape that characterises the corporate environment of Spinningfields, the cultural significance of Manchester Cathedral apparently merits nothing more substantial than a bit of decking-as-footbridge, the usual ‘feature lights’ and some suspiciously familiar curved seating. Is the palette of the ‘public realm’, dread misused phrase, so jaded in our post-boom environment that the designers of this project (Whitelaw Turkington and Arup) are forced to reference the dubious delights of Manchester’s Exchange Square? Why not have done with it, replicate it all and put up another Big Wheel? Is it credible that any other European metropolis would treat its cathedral in such a parochial way? As always one looks for consolation and the pastel outlines of the blocks that frame these impoverished urban visions will at least remain just outlines for the foreseeable future. 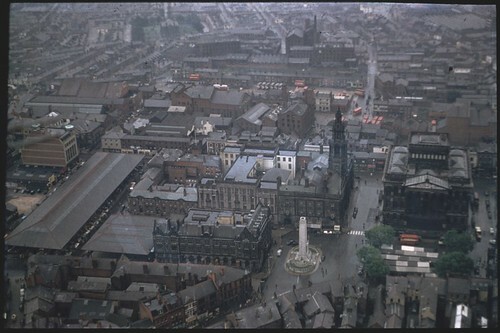 Following the visit of MA Urban Design students from MMU to our fair city this week, I offer an aerial photo set of Preston in the ‘fifties (before the clearance of factories, mills and much else).